11 Questions to Ask a Wedding Cake Baker | Wedding Ideas ARE YOU A VENDOR? Wondering what question to ask a wedding cake baker? You’ll want to get the A’s to these Q’s before committing to any confection! Your wedding cake baker is one of the MVPs of your vendor squad. They’ll be crafting the showstopping confection that your guests will be Snapchatting, Instagramming and indulging in all night long, so there are essential questions to ask a wedding cake baker to make sure they can deliver. 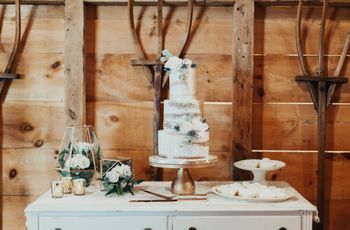 Before you dive into the nitty gritty details of your own wedding cake, you’ll want to get these basic questions out of the way. 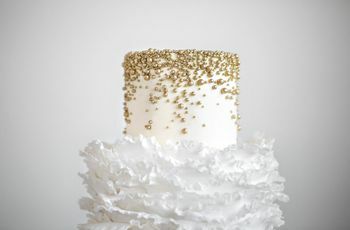 Here are a few essential questions to ask a wedding cake baker. What is your wedding cake cost? 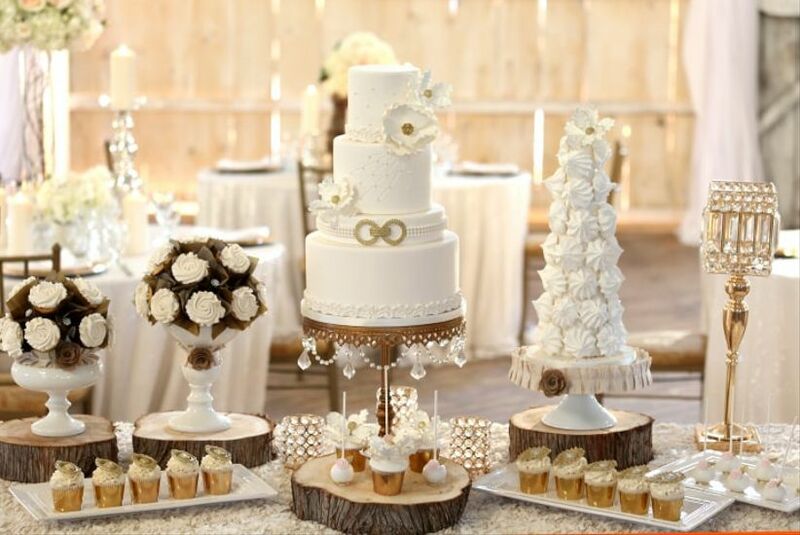 The wedding cake cost will vary based on a number of factors that your baker will be able to take you through such as design, size and ingredients. 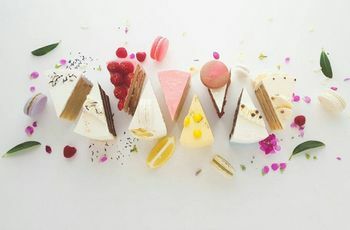 Keep in mind that you should expect to dedicate around 2.5% of your wedding budget to your multi-tiered confection, so ask what they can do within this amount. You want the best of the best for you big day, so ask your potential baker what their top selling wedding cake flavours are. There’s a good chance these will be the cream of the crop, so you definitely want to sample these ones first. 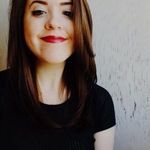 Do you offer tastings and, if so, how much do they cost? A wedding cake tasting is a must. You want to be sure that you’re going to like what you’ll be serving on your big day, so go ahead and do some sampling (even if it doesn’t exactly fit into your pre-wedding diet). Sometimes these will cost extra, so ask about cost up front so that you can work it into your budget. You’ve probably got a pretty clear idea of what you want your wedding cake to look like and you’re going to need the right baker to turn that dream into a reality. So the next question to ask a wedding cake baker is what they do best so that you know if their style fits your own. Pro tip: bring in a few visual references and ask if they have any comparable wedding cake designs in their portfolio so that you know what to expect. Can I save the top tier for our first anniversary? 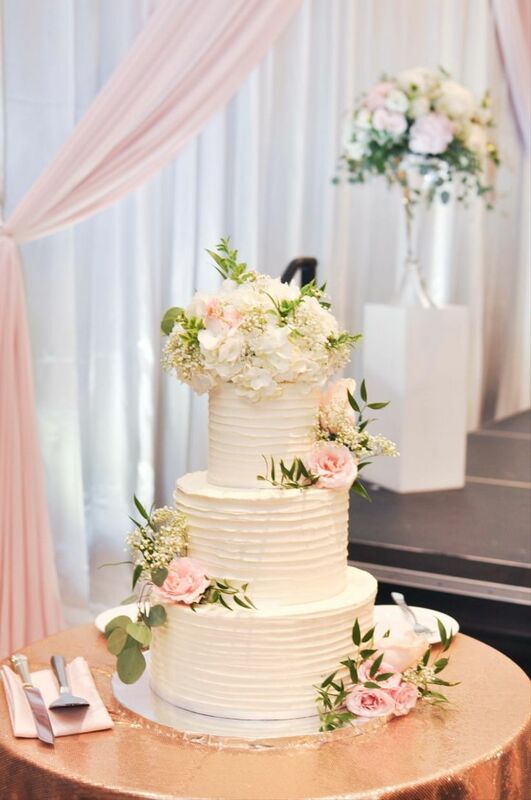 If you plan on following the tradition of saving the top tier for a sweet treat upon your first anniversary, you’ll want to make sure you ask how to freeze your wedding cake? Some bakers will even provide the wrapping to ensure it’s airtight. Can you create vegan, dairy-free or nut-free cakes? You don’t want to miss out on the joys of wedding cake just because you can’t handle certain ingredients. 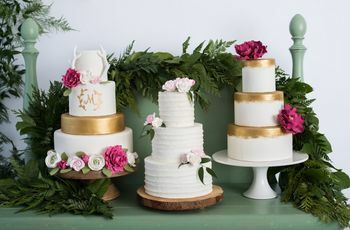 An important question to ask a wedding cake baker is if they’ve crafted any vegan, dairy-free or nut-free cakes in the past and if they’re willing to take on the challenge for your wedding. Keep in mind that not every baker will be able to make the adjustments, so you may have to do a little research. 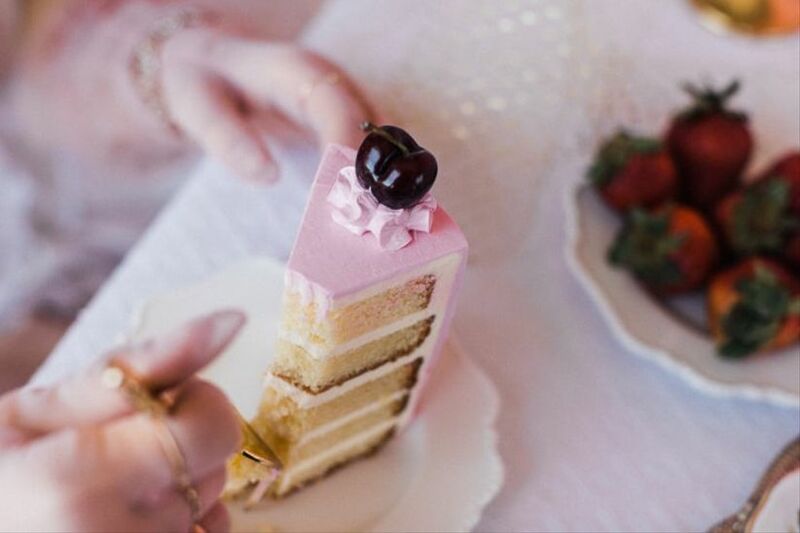 Note: here’s where to get a vegan wedding cake in Toronto and Vancouver. Can you bake any other desserts for my sweet table? Sometimes one cake just isn’t enough. 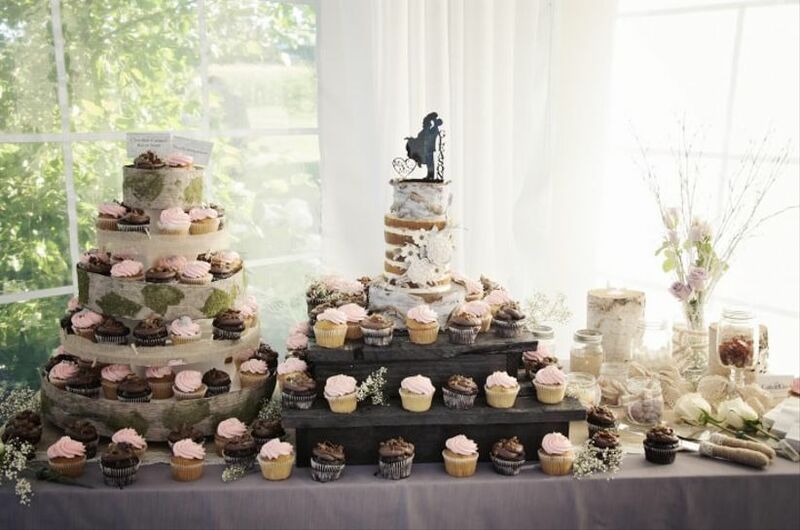 If you want to go the extra mile with your sweet table, ask your potential baker if they can craft cookies, cupcakes and/or a few Canadian desserts to bulk it up. Remember, this will probably be a pretty sizeable order and they’ll need to know well in advance to make it happen. You’ll want to know the baker’s delivery fee upfront so that you can work it into your budget. Unless they offer free delivery, they’ll need a deposit upon being hired, so make sure you have your finances in order before moving ahead with anything. Will you work with my florist? Want to give your wedding cake a bit of flower power? Ask the baker if they’ll work with your wedding florist to create something really spectacular. Adding a few blooms that match your bouquet or centerpieces will help tie everything at your reception together (cohesion is key!). Note: if you don’t want to go with the real deal, you can always ask the baker if they can create flowers from sugar or fondant. Do you offer any rentals? Yes, the cake itself should be your main priority, but don’t forget to ask about other bells and whistles for your dessert display. Oftentimes, bakers will rent out cake stands and decorative trays that’ll make your sweet table look extra photogenic on your big day. Can I see a copy of your standard contract? The final question to ask a wedding cake baker will be to see a copy of their typical contract. The document should show all their standard policies and procedures as well as estimated costs. Keep your eyes peeled for things that may affect your budget, like additional fees for travel, tasting, parking, setup and breakdown.